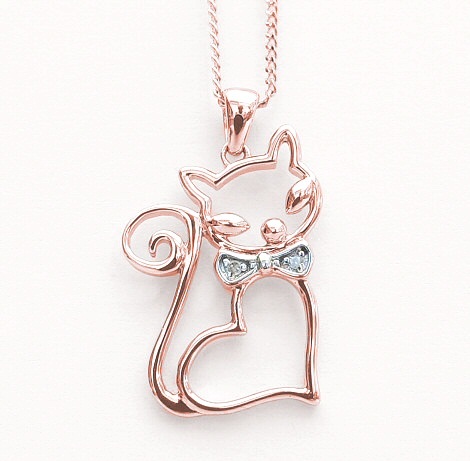 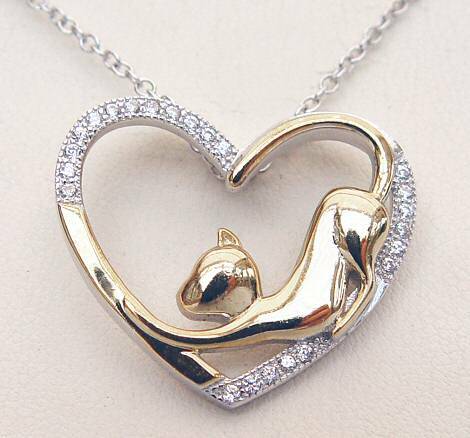 Love White Cats Necklace. 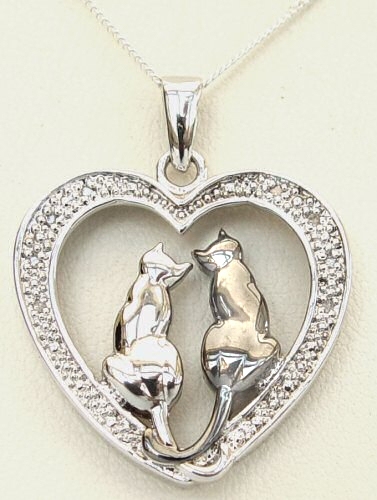 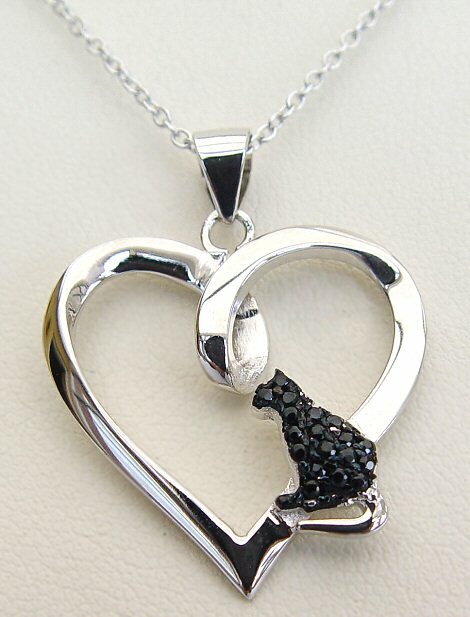 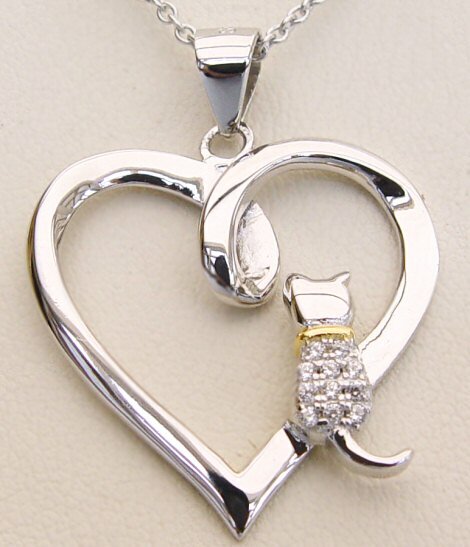 A Sterling Silver heart necklace featuring a crystal covered white Cat with a gold plated collar. 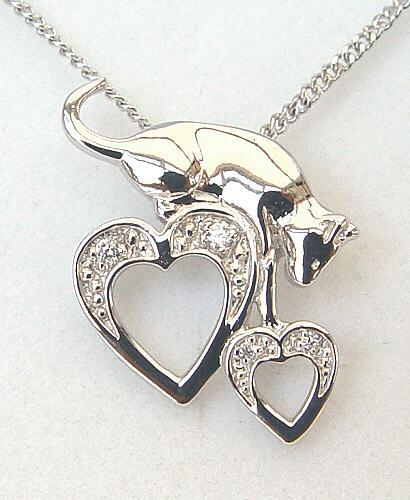 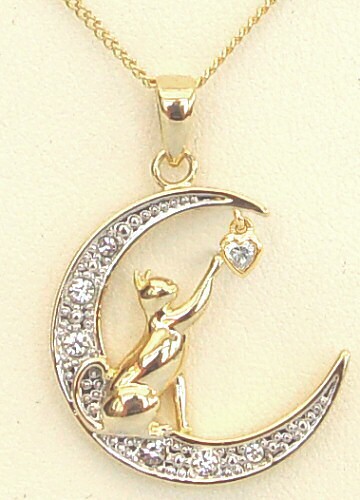 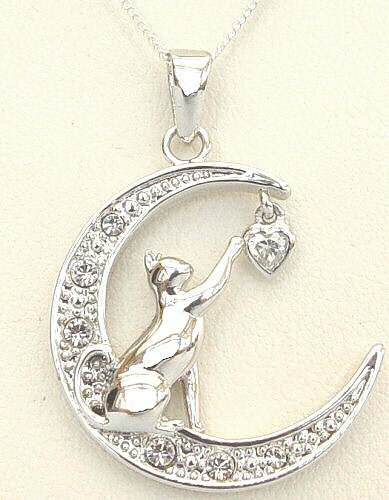 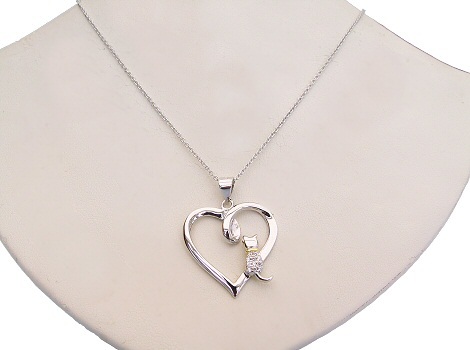 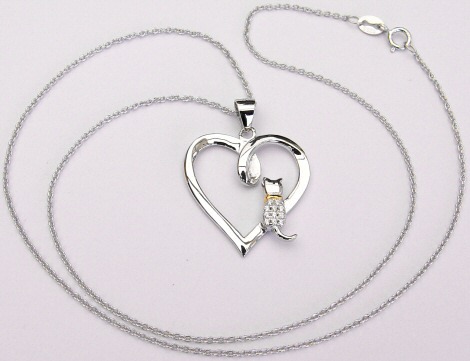 Short Description:- Love White Cats Necklace: Sterling Silver heart necklace with a crystal covered white Cat.